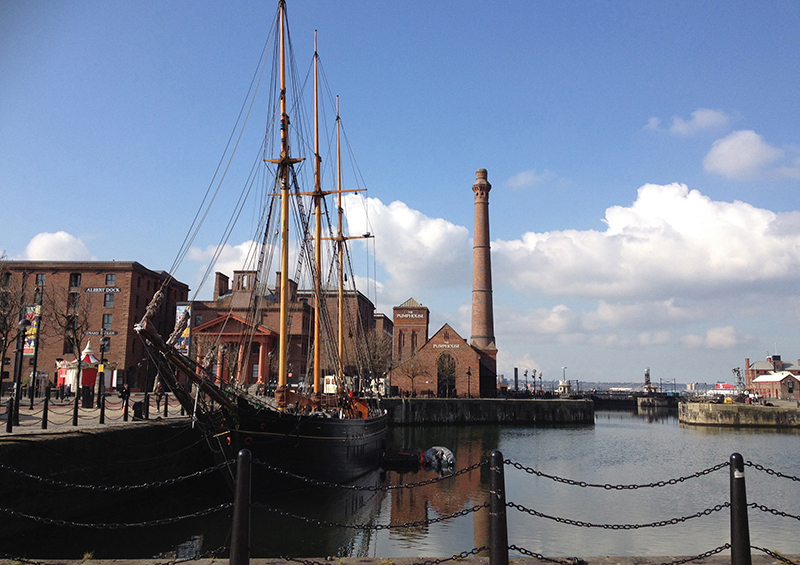 Roberts Jackson is an award winning law firm who specialise in industrial disease and work related conditions. They approached Clear Mapping Co to create maps to show the locations and directions for twenty six private health clinics, which their clients access for medical assessments. 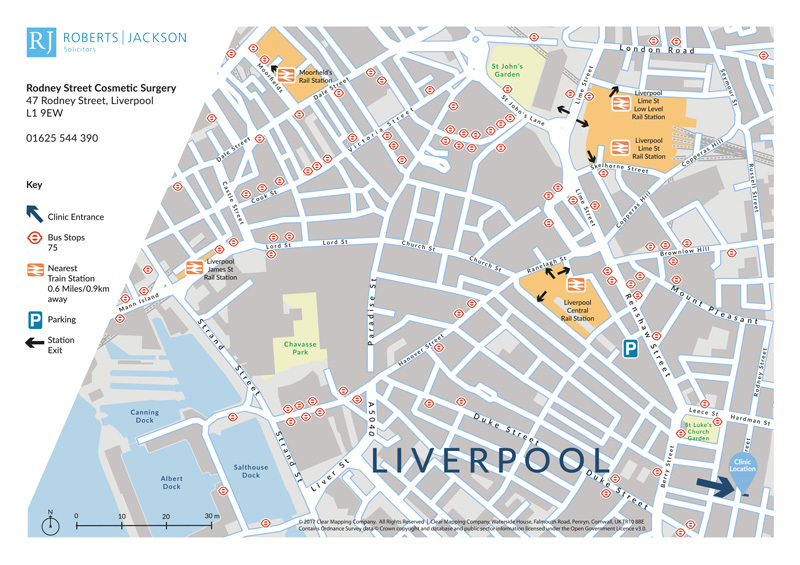 The client wanted to show the clinic locations and transport links in a clear and user friendly style. Clear Mapping Co based the maps on Ordnance Survey open data and transport open data in QGIS (from data.gov.uk) for the bus stops. We developed a new cartographic style based on the Roberts Jackson design guidelines in Adobe Illustrator. The main emphasis was on the building itself and the entrance access point to ensure people didn’t get lost. Due to the nature of the health appointments, knowing the public and private transport options available was really important too. Clear Mapping Co created twenty six clear and concise maps showing the various clinic locations. 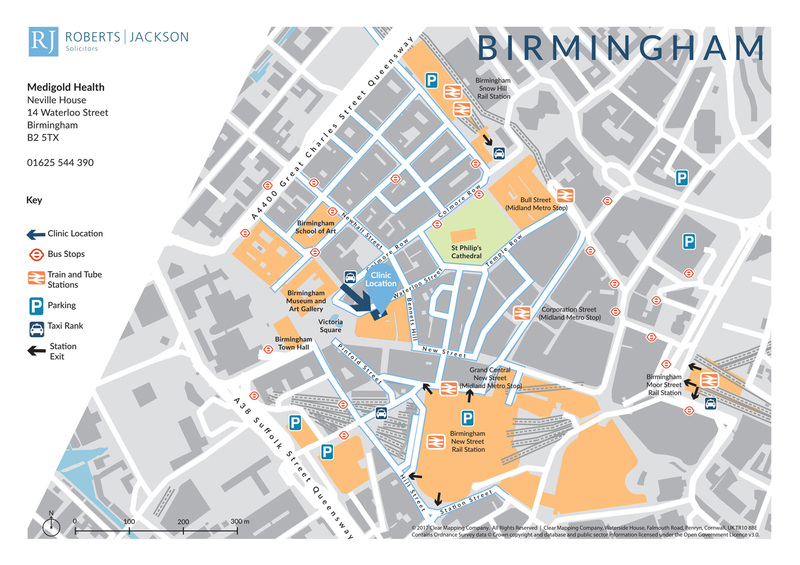 The user friendly maps enable their clients to identify where the clinics are and how to get them. 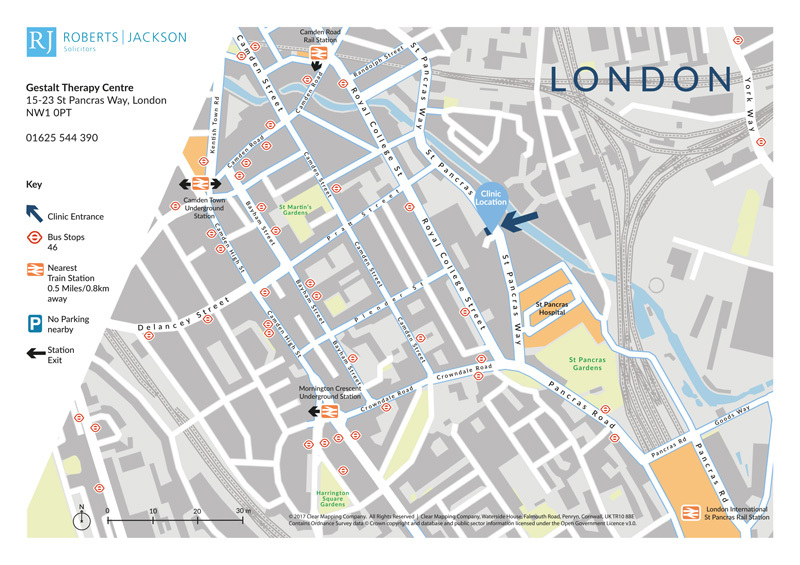 The maps have been invaluable in enabling Roberts Jackson to provide an extra level of customer service to their clients.